Last updated January 30, 2015. Journal of Chinese Martial Studies, Winter 2012. Issue 6. Three-In-One Press, Hong Kong. 2012. Tir À L’Arc Magazine No 14, 2011. Traditionell Bogenschiessen Heft 59, Verlag Angelika Hörnig, Germany, 2011. Traditionell Bogenschiessen Heft 58, Verlag Angelika Hörnig, Germany, 2011. Journal of Chinese Martial Studies, Summer 2010. Issue 3. Three-In-One Press, Hong Kong. 2010. Journal of the Society of Archer-Antiquaries, 51, 2008. World Traditional Archery Historical Analysis and Future Orientation, The National Archery Association for All, Cheonan, Republic of Korea, 2008. ISSN 205-3118. 2008. Taiji-Vizier, jaargang 19, nr. 4. The Netherlands, december 2007. Metropolitan Museum Journal, Vol. 36, 2001. An important publication on high quality Qing dynasty sabers, available online at the Metropolitan Museum website. Another excellent article, this time focused on the design of Qing period military sabers. Published on www.mandarinmansion.com. Hand Papermaking vol. 24, no. 2. Hand Papermaking Inc. U.S.A. 2009. Available online with kind permission of Handpapermaking Inc, all rights reserved. Tai Chi and Alternative Health Magazine, issue 57. UK, 2009. Beijing Global Times. Printed in Beijing (100.000 issues!) and published online. 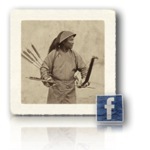 An interview with Peter Dekker about Manchu archery. Tussen Antiek & Verzamelen, 26e jaargang, nr. 276, Maart 2011. An interview with Peter Dekker about his collection. A review about a seminar with Peter Dekker in Germany.